In the annals of horror, only one film series is almost too disgusting to describe! Now the unthinkable has become all too real! 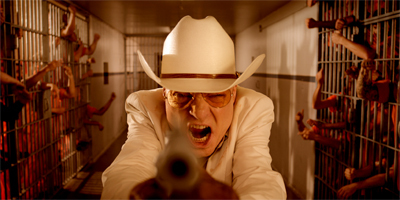 The final chapter to the most notorious movie franchise ever made has arrived – The Human Centipede 3 (Final Sequence). state Governor (Eric Roberts). He constantly fails in experimenting with different ideas for the ideal punishment to get the inmates in line, which drives him, together with the sizzling heat, completely insane. 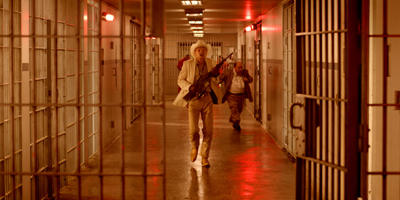 Re-uniting the stars of the first two films (Dieter Laser & Laurence R. Harvey) The Human Centipede 3 (Final Sequence) is the finale the world’s sickest horror franchise deserves. Nasty, revolting, and utterly deplorable, if you thought the first two films were gross, trust us, you ain’t seen nothing yet!